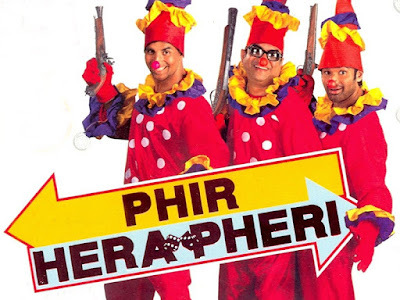 Phir Hera Pheri Funny dialogues- Get the best funny dialogues from movie Phir Hera Pheri. This is a comedy film which is directed by Neeraj Vora which was released on 9 June 2006. 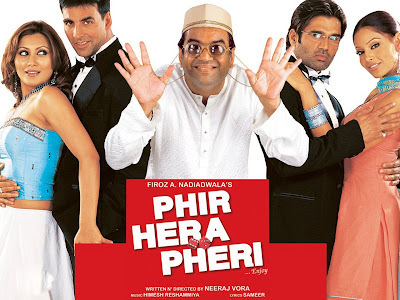 It is the sequel of Hera Pheri film which was released in 2000. The movie stars the three men from the previous movie Akshay Kumar, Sunil Shetty and Paresh Rawal, Bipasha Basu and Rim Sen are playing the supporting lead role. The movie centralized and inspired from the movie Lock, Stock, and Two Smoking Barrels. Here We have collected some best and funny dialogues of Paresh Rawal and Johnny Lever from Phir Hera Pheri movie, some dialogues are really marvelous. "Mujhe tum par itna bharosa hai jitna...Apko apka apni biwi pe bhi nahi hai"